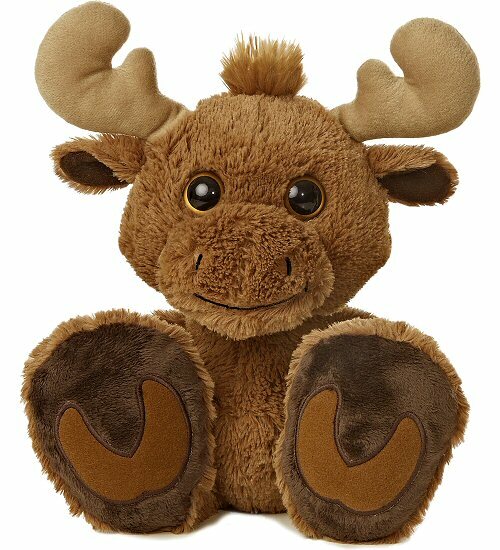 Maple, this adorable Taddle Toes stuffed moose, has awesome oversized feet, a wonderfully huggable body, and warm brown eyes in a sweet face. With soft chocolate fur, dark brown feet pads, and velvety tan antlers, you'll want to take this delightful plush moose on all your imaginative adventures. Fun Facts about Moose: Did you know that moose are the largest of all the deer species and that its antlers can grow to be six feet wide? And did you know that the little "beard" that grows from the chin of a moose is actually called a bell? I would not have guessed that! 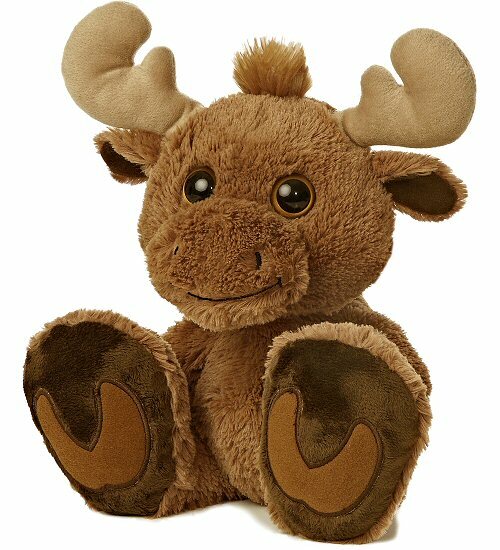 Maxamoose, this adorable little Mini Flopsies stuffed moose, has soft brown fur, brown hooves, fun brown antlers, and a sweet face.